Emy Mack will collaborate on the runway with Luli Fama Swimwear at Mercedes-Benz Fashion Week Swim 2015 on Sunday, July 20, 2014 in Miami, Florida. This will be Emy Mack's second runway collaboration and appearance at Mercedes-Benz Fashion Week. New York, NY, July 16, 2014	(Newswire.com) - Emy Mack will be the official shoe sponsor for internationally acclaimed swimwear brand, Luli Fama, at Mercedes-Benz Fashion Week Swim 2015. The runway show will take place on Sunday, July 20, 2015 at The Raleigh Hotel in Miami Beach, Florida. It will be Emy Mack’s second runway appearance at Mercedes-Benz Fashion Week, but the shoe brand’s first time at Swim Week in Miami. 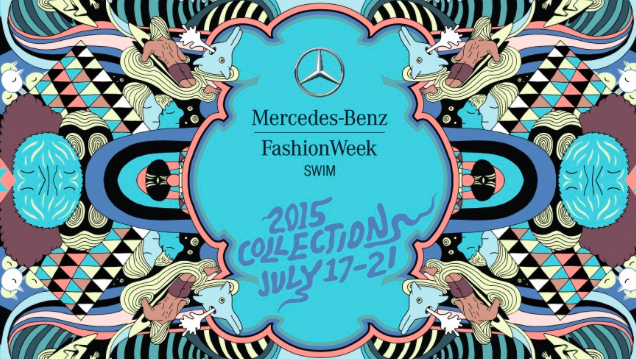 The show marks Luli Fama’s seventh runway appearance at Mercedes-Benz Fashion Week Swim. 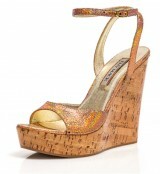 Expect to see Emy Mack’s signature lacquered cork wedges, high heels, sun-kissed metallics, and python prints. The resort-friendly shoes feature classic silhouettes with on-trend flair that are versatile enough to dress up or down for a day at the beach or a night on the town. While she “meticulously focuses on fit,” Jamison “never sacrifices comfort for style in her collection” according to the designer. Luli Fama’s designers, Luli and Augusto Hanimian, captivate the culturally rich and energetic nature of Miami with their 2015 collection. The line will include an array of tropical patterns and prints, and will capture the natural elements of present-day Miami including parrots, flamingos, and underwater wildlife. Luli Fama’s latest line will enchant and delight as it pays homage to the beautiful city of Miami. “Paradise is in our backyard, and we are going to take you on an adventure full of color and life,” adds Luli. The assortment of swim styles from the collection, including monokinis, bikinis, cover-ups and dresses, are made from light fabrics and are enhanced with exceptional details tailored to accentuate a woman’s figure. All of Luli Fama’s beachwear garments are intended to compliment each of the swimwear pieces, offering an effortless transition from beach to boardwalk with comfort and ease. For questions about Emy Mack, please contact Jamie Curtis at Jamie@WhiteHorizonPR.com. For questions about Luli Fama, please contact Jessica Bowler at Jessica@Bollare.com. American shoe designer, Emy Mack, creates women’s ready-to-wear shoes in classic silhouettes with an on-trend flair. The Emy Mack collection is handmade in Italy by old-world artisans in the same facilities as several well-known luxury brands and has a showroom in New York, NY. Emy Mack is a new favorite brand among celebrities like Kerry Washington and has been featured nationally at Mercedes-Benz Fashion Week New York, on Project Runway, VH1 Gossip Table, and in the pages of Women’s Wear Daily (WWD), Marie Claire, HudsonMOD, NY Daily News, Modern Luxury, Whirl Magazine, and numerous other publications. Emy Mack styles are produced in exclusive, limited edition quantities and can be purchased online or in upscale fashion boutiques nationwide. A complete list of retailers is available on the Emy Mack web site at http://www.EmyMack.com. Luli and her brother-in-law Augusto Hanimian are the creative forces behind Luli Fama swimwear. They met in 1990 while both working for Augusto’s aunt, a well- known swimsuit designer. Together the two gained practical experience in the fashion and swimwear markets. In 1993, they launched their first company, debuting with Cover Style, a junior swim line. In 2003, Luli Fama was born. With its first collection debut, Luli Fama became known for its universally flattering fit and immaculate designs. Luli Fama incorporates an eclectic mix of vibrant hues and bold prints resulting in a unique look that is at once sophisticated and festive. Luli and Augusto are inspired by a variety of factors, including Luli’s Cuban descent and Miami upbringing. The cosmopolitan culture and Latin influence in Luli Fama are apparent in the contemporary shapes, intense colors and fusion of innocence and seductiveness. The design team works with artists to create custom designs for all of their prints, making sure that each piece speaks directly from the hanger. Internationally acclaimed supermodels, Nina Agdal and Hannah Davis, are the faces of Luli Fama in the latest 2015 campaign. Luli Fama continues to maintain its rank as the “celebrity-favored swimwear brand” due to the devoted following of celebrities including Beyoncé Knowles, Jennifer Aniston, Shakira, and Kate Hudson along with supermodels Adriana Lima, Bar Rafaeli, and Marissa Miller. LOLLY Clothing unveils its spring collections for 2014. The season will focus on fashion basics as the brand reveals a new line each month. Are You a Lolly Girl? Lolly Clothing launches an integrated campaign to reach their target audience: the Lolly Girl. Emy Mack Shoes inspired the winning design on Project Runway Season 12, Episode 7: Shoes First. Designer, Helen Castillo, selected Emy Mack's Elizabeth Stud Cap Toe Booties as the muse for her winning look: a tailored black dress and cape.